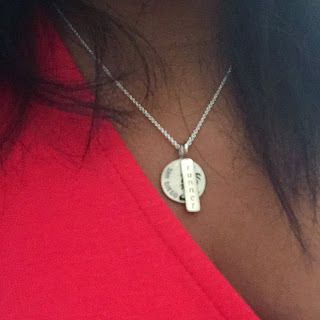 Disclaimer: I was sent a necklace from Run Molly Run jewelry for review and giveaway purposes. I was not compensated in any other way. All opinions are my own! 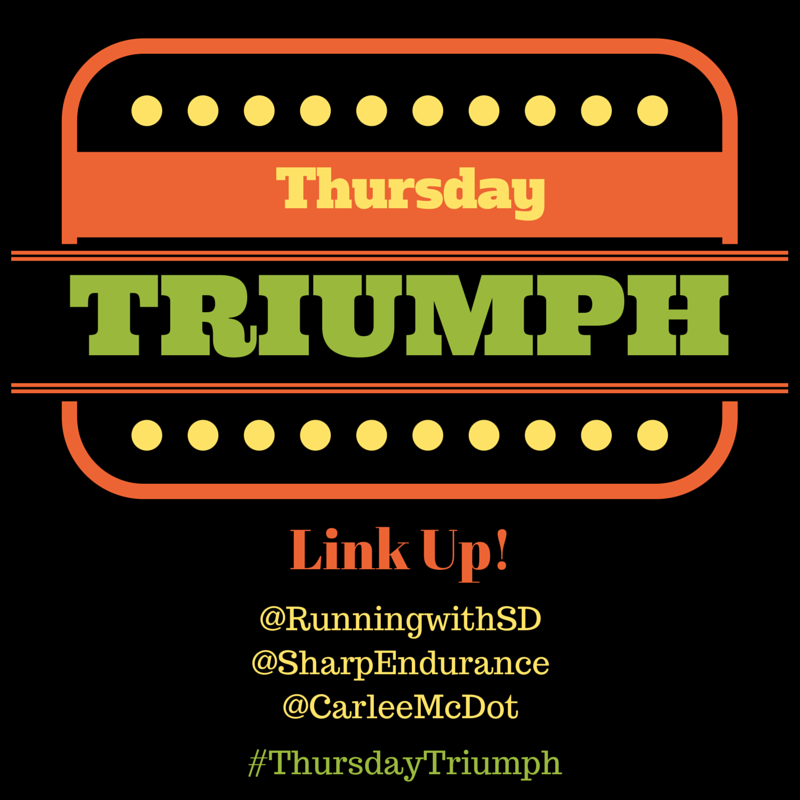 Welcome to Week 4 of the Thursday Triumph posts with me, Linzie and Carlee! These are so much fun. Did you read the intro post? You can read it and get caught up HERE! Please share your triumphs with us as we share ours with you! 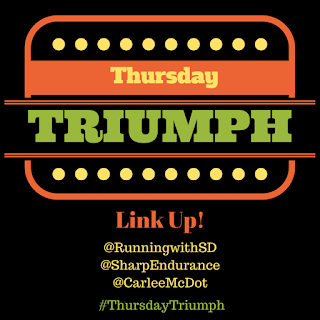 Today is Thursday! Guess what this weekend is? Yup! Rock n Roll San Diego. And for the first time ever, there will be a 5K on Saturday and the Half / Full on Sunday. If you do the 5K and the Half/Full, you get a special Remix medal! It is also the next stop on the #WeRunSocial train. There are a TON of meet ups! There is this one for Saturday. And this one for Sunday - post race! Now why is this in the Triumph post? Because one year ago, I would have NEVER considered running a 5K on Saturday and a Half marathon on Sunday. Look how far I have come?! And the other part of this TRIUMPH are the amazing friends I have made and the joy that running and runners have brought to my life. You can read all about the We Run Social movement here. So now on to my giveaway. It is no secret how much San Diego has come to mean to me in just 17 short years. It is my home and my life. 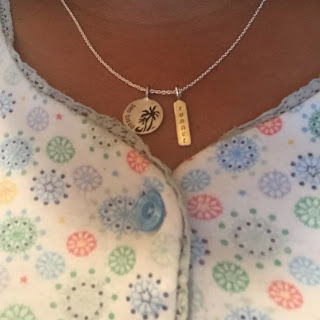 So, when I partnered up with Run Molly Run jewelry for a review and giveaway, I chose the necklace that best captures my love for this awesome city! Because I am. I am a San Diego runner and the carefully crafted necklace captures it perfectly! They have a ton of different options that pair up nicely with all the Rock n Roll races. You can add a city charm with a run charm and add a distance or even a gemstone. Like this San Diego package. The quality is amazing. I wear the necklace with everything from suits to pajamas. I am so happy with the workmanship. Best part? They are based in Portland so NO sales tax! And shipping is free for US orders over $100! But OF COURSE I have one to giveaway. Choose one of these 4 charms on the chain of your choice! 1 lucky winner! No purchase necessary. Void where prohibited. 1 winner will be selected via the Giveaway widget. Open to Residents of the US 18 years of age or older. Must have a non P.O. Box mailing address. Winner must have a valid email address. Winner will choose 1 of 4 charms. Chain type will be specified. All winning entries will be verified. If a winning entry cannot be verified as completed, a new winner will be drawn. Winner will be provided the prize directly from Run Molly Run. Substitutions unlikely but may apply. SD Mom not responsible for failure of Run Molly Run to deliver product. Good Luck! What is your favorite city? Have you become a part of We Run Social yet? 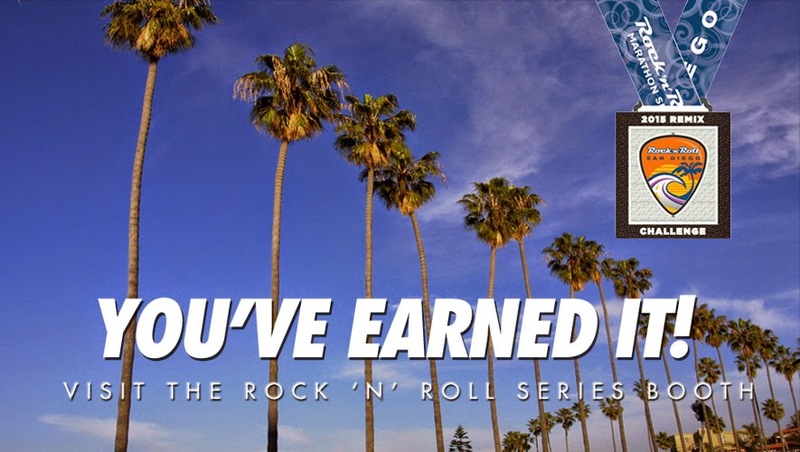 Have you ever run a Rock n Roll race? Did you check out Run Molly Run? What is your favorite piece? It's gonna be a jam packed SUPER fun weekend!! I would get run charm (square) (upper left corner) and for my city I would pick New York City. I was botn in NY and lived there for a while after college and I do most of my races in Manhattan. I just love that city! Not sure if my comment went through or not but I LOVE the star charm since my dog agility club is All Star agility and it could serve both purposes! Tennessee is my original home but Kansas has become our home now so any charm to do with KS would be awesome! I love the rectangle design! 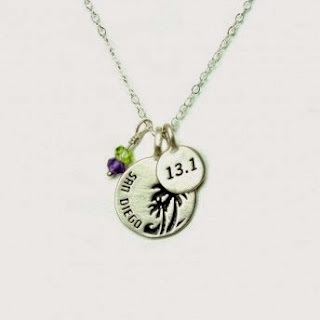 I have been needing some running jewelry to show off my love for running! I like the heart run charm. I would like a Run Las Vegas charm. I call Ohio home. Love the necklaces! I would love the rectangle Run charm! OMG I am so ready for this weekend!!!! San Diego is absolutely my favorite city. No question. These charms are AWESOME. See you Saturday! I'd get the run heart charm and DC for my city! It'd be awesome if they had a DC rock n' roll half marathon charm! I ran that race and it was my first half marathon, so it'd be nice to have this to remember it by! How cute! I'm from Florida but live in Dallas, TX now - so I would get a 13.1 run Texas necklace. And if any Florida charms are added, I'd probably get one of those too! I'd do the 26.2 charm. And maybe a charm from some of the cities I've run in like Chicago or Nashville. I'd get the heart charm and no one city really has been home yet. 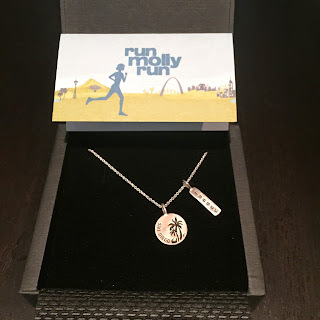 Run Molly Run just sent me a necklace too, can't wait to see it! I love San Diego and hope to get back there someday. I wish my MIL hadn't sold her house!! 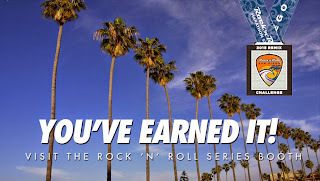 Of the four you featured, I'd choose the San Diego charm. The 'Run' heart is a near second choice. I would get the "walker" charm with the Las Vegas city tag. I wwould choose the square Run necklace! I would get the rectangle. Would get the heart charm and my home is Tennessee. I like the rectangle run charm and this would be a gift for a friend so I would let her pick out the "home" charm. I would get the circle charm or the rectangular charm and I would add New Orleans city charm because New Orleans is home. I like the star charm. No city that I can call home right now. I would choose the run rectangle charm as for city I would choose Seattle because it's my home town and I miss living there! I would get the rectangular run and I love Madison.